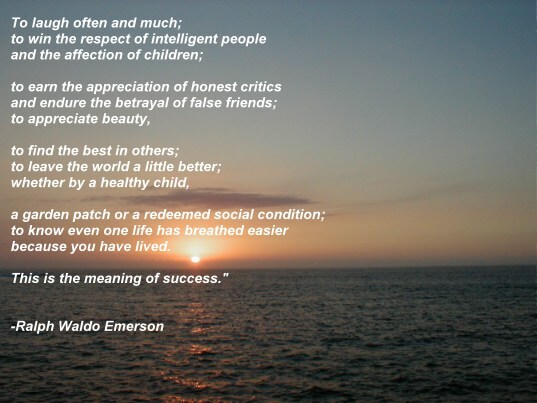 AP Calculus AB: Wishing you success ahead! I am thinking that these days each of you, your family, and your friends are looking to your future and wishing you success. I'd like to do that too!! 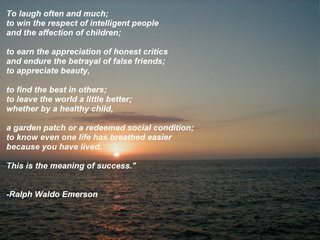 To wish for you all that Emerson describes-- Would this meaning of success be one you'd be willing to adopt?